Want to submit something in particular for Zergnet to feature in the MPN traffic exchange? Here's how! First, log in to Zergnet. If you've never done this before, you'll need to reset your password by using the "Forgot Password" link, and entering in your Mediavine email address. After resetting your password and logging in, visit your Zergnet "Links" tab. 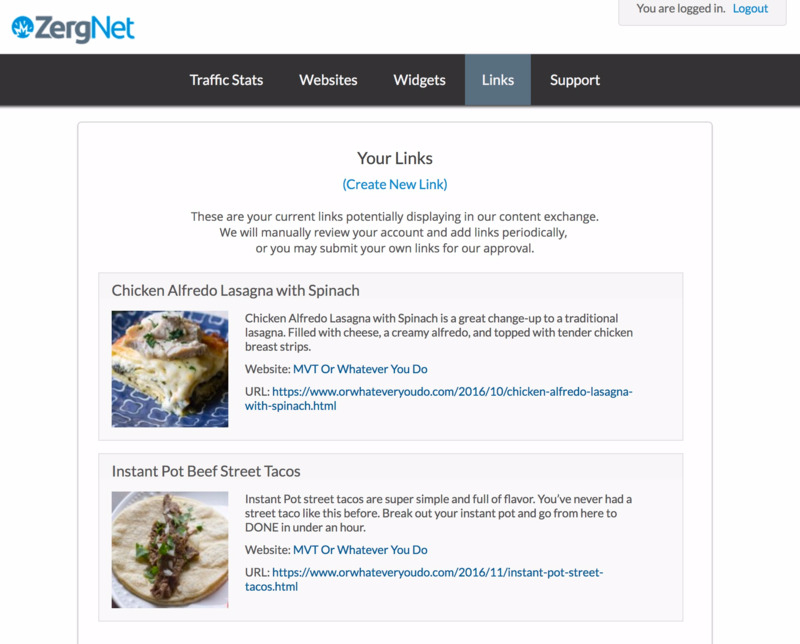 Click "Create New Link", and submit your links to Zergnet for review. They need to review and approve the link before it goes live in the exchange.